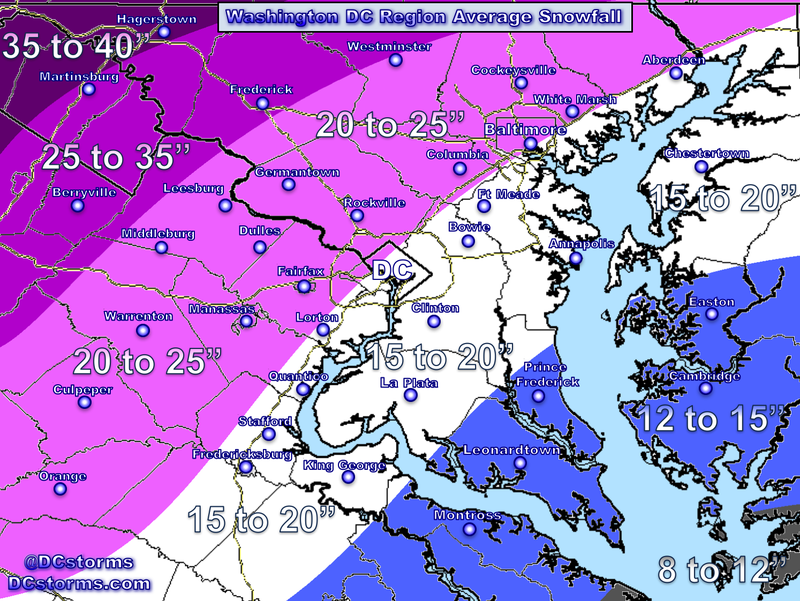 Snow, Sleet or Freezing Rain will begin falling on Thursday morning across the Washington Region, mainly along and west of interstate 95. 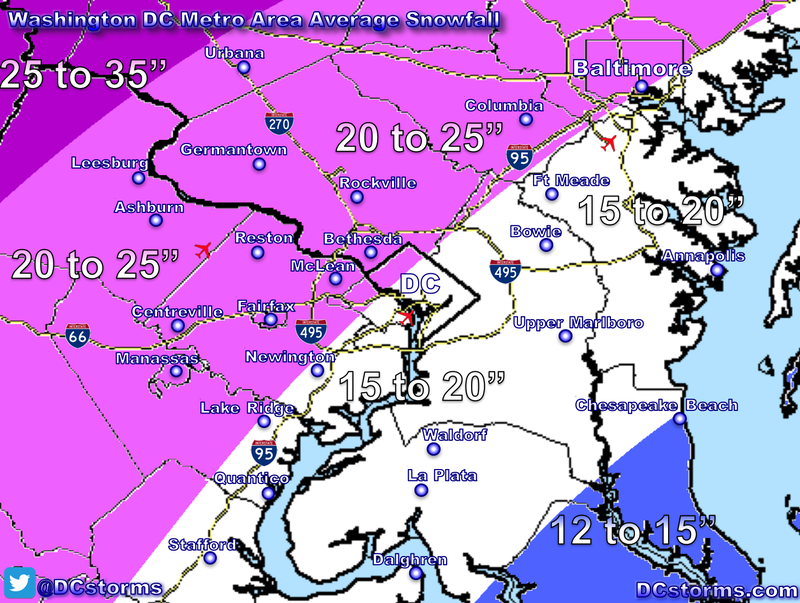 Freezing rain will likely change to rain during the mid-morning hours (9 – 10am) in DC (points south and east) as temperatures will likely climb into the middle 30s. 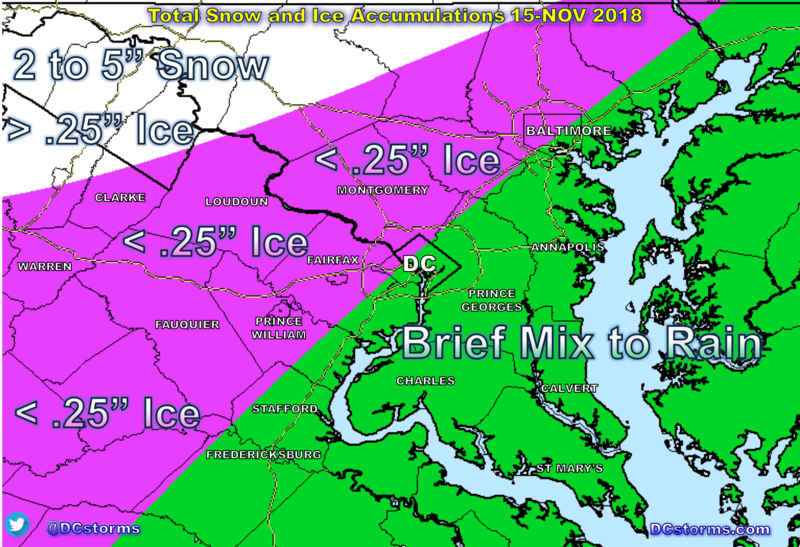 Our northern and western suburbs (Montgomery, Fairfax, Prince William, Loudoun counties) may hold on to Freezing Rain through the early afternoon hours where a tenth of an inch of ice accretion is likely on untreated and elevated surfaces. Counties along and west of the Blue Ridge will receive their first significant ice storm of the season where upwards of a quarter of an inch could accumulate. Scattered power outages are likely in these areas as there are still some leaves remaining on the trees. Places like Hagerstown, Winchester and the panhandle of WV could pick up 2 to 5″ of snow before a change over to sleet and freezing rain.